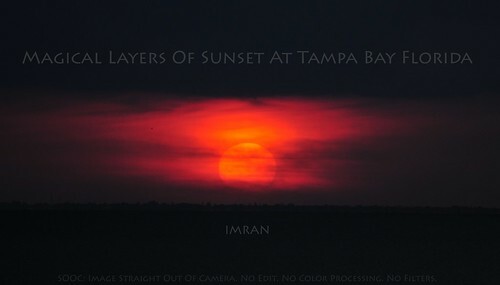 What magic Tampa Bay Florida sunsets reveal in layers that I am blessed to see. The base photo of this image is SOOC (straight out of camera) of my 10 years old Nikon D300. No editing. No color tweak of ANY kind. No filters. It was simply cropped and I added text to fit it into a FaceBook Cover Photo format.